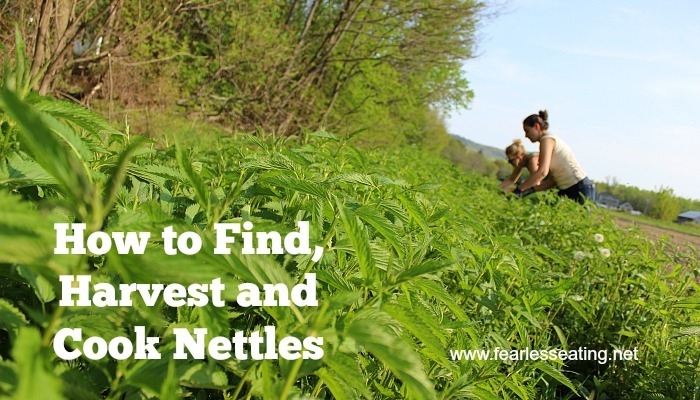 As someone who grew up in the suburbs of Long Island, I consider it a minor miracle that I’m even writing a post on how to find, harvest and cook nettles. Because if there’s one thing Long Islanders don’t do, it is eat the weeds in our backyards. Pummel ’em into submission with weed whackers and pesticides? Well of course. 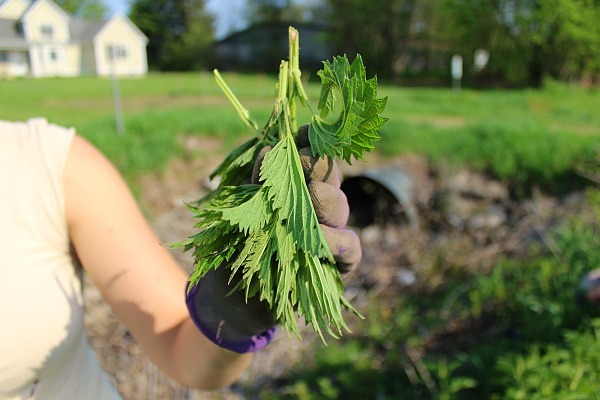 But ever since I moved to western Massachusetts I’ve learned that so many so-called “weeds” are not only edible but full of health benefits too. And that certainly includes stinging nettles, one of the more easy-to-find and nutrient-rich wild edibles. I recruited my friend, Hannah Jacobson-Hardy, to help me with this post. Hannah is a community herbalist and wellness coach of Sweet Birch Herbals here in western MA. She brought me and a few of her herbalist-in-training friends to a huge patch of stinging nettles next to an organic farm field in Hadley, MA. The patch stretched along the field for probably a quarter-mile. 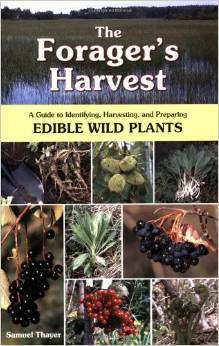 There were also dandelions, cleavers, yellow dock, burdock and many other wild edibles. But the nettles were by far the most predominant. Stinging nettles (Urtica dioica) grow all over North America and many other parts of the world. They appear in early spring and grow along side roads, trails, streams, rivers, lakes and the edges of fields. They are pretty simple to identify by sight and super easy to identify by touch…because they will sting you. Obviously, we want to learn to identify them by sight first. According to Hannah, if you harvest the leaves after the plant has flowered in the late spring and early summer, they produce calcium carbonate crystals, which can irritate they kidneys. When you brush up against them, the tiny little hairs can prick your skin and release chemicals that cause a stinging sensation. But not to worry, all you need is a pair of thick or padded gloves to avoid getting stung. Some people are brave enough to harvest them without gloves as you can pinch then in a specific direction where the hairs won’t prick you. 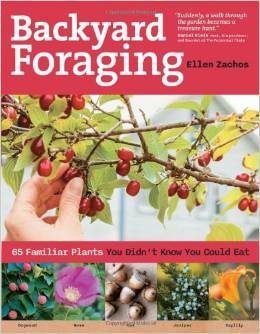 However, you still may get stung by neighboring leaves and stems. Also, long sleeves. Also, pants (because picking nettles in your underwear could get you in trouble). Seriously though, I wore a pair of shorts like a naive suburbanite from Long Island and got stung a few times on my legs. But it wasn’t too bad. Unless you really grab the plant (or fall into a patch), a gentle brush against the hairs will be more irritating than painful. Finally, pick only as much as you’ll use. Nettles are rich in minerals as well as vitamin C and vitamin A and they’ve been used by traditional cultures all over the world for thousands of years to treat a wide variety of health issues. Nettles have about five times more fiber, vitamins and minerals than kale and spinach! Excellent for pregnant women and nursing mothers because of its highly nutritive properties and it increases the production of milk. Blood cleansing for springtime and any hot skin conditions. Drink an infusion or take a tincture 3-4 x/week 2-3 months before allergy season to prevent symptoms. 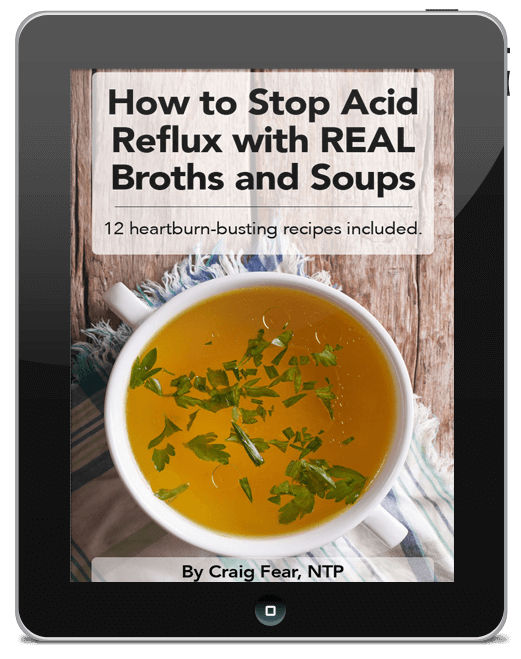 They are a diuretic and a urinary tonic to help with chronic UTIs, cystitis, nephritis, urinary stones, weak bladder, edema, and chronic kidney issues. The green seeds of the plant actually restore the adrenal glands. The leaves repair weak bones, teeth, hair, nails, muscles and can be helpful for people with osteoporosis or osteoarthritis. Nervous system support: helps with chronic fatigue, debilitated nerves (esp. from Lyme), bells palsy, shingles, stroke, and even increases serotonin levels. 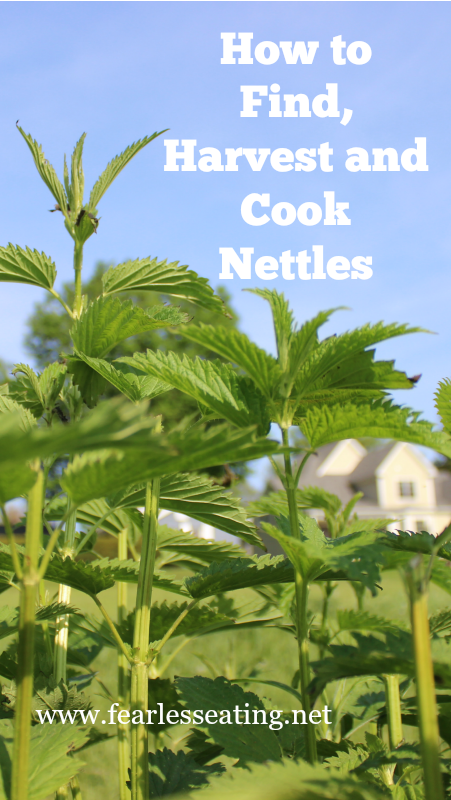 There are many ways to cook nettles. But you must really COOK nettles to neutralize their sting. Never eat them raw (unless you live in England and enjoy inflicting pain on yourself). Nettles will keep in the refrigerator for five to seven days though it’s best to use them sooner than later. Rinse them before using and be sure to use tongs or gloves as their stingers won’t be deactivated until heat is applied. Wherever you might use spinach or other greens, you can use nettles as a replacement. I’ve just made a super simple nettles soup which will be the follow-up to this post. I will include a link with a recipe very soon. In the meantime, there are countless nettle soup recipes online. Update: The follow-up post is ready! Here’s how to make stinging nettles soup. Perhaps not technically “cooking” making a tea is nonetheless a great way to get the benefits from nettles, especially if you make an overnight infusion. You could certainly make a quick 10-minute infusion but according to Hannah, an overnight infusion provides more nourishing benefits as more nutrients will leach out over time. 1. Place the nettles in a quart-sized mason jar or other heat-bearing vessel (pan, teapot). To prevent the glass jar from breaking, place a metal spoon in the jar while pouring the boiling water. The metal spoon disperses the heat, quite a neat trick! Cover the herbs with the boiling water and let steep overnight, or about 8 hours. 2. Strain through a sieve. Keep about 1-2 days in fridge. Drink up to 3 cups per day. You could also make this tea with 2 tablespoons of dried nettles too. 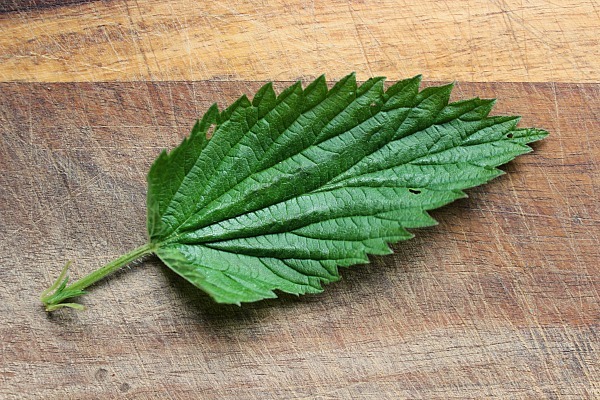 You could certainly dry the leaves or your local health food store may carry dried nettles. You can also find a good source online here. 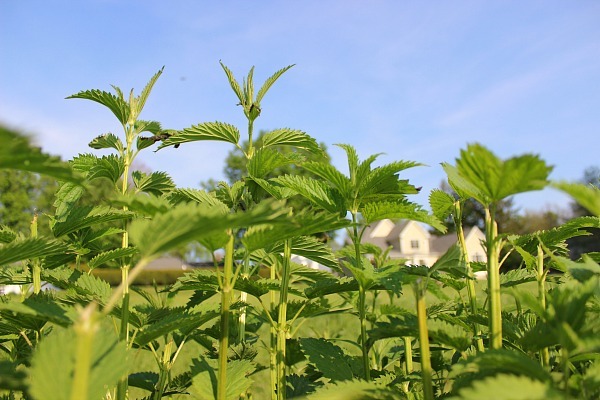 There are many other ways to use cook nettles and recipes abound online including using nettles in pesto, stir fries and pasta. 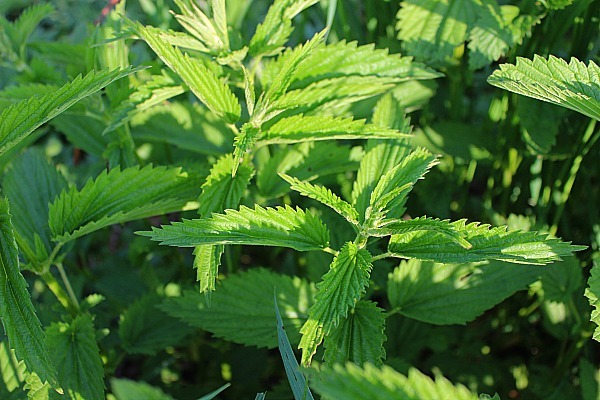 Nettles can also be made into tinctures, capsules and tablets to treat many of the health issues listed above. This is where working with a trained herbalist and/or health practitioner is important! If you’re in western MA, Hannah offers herbal consultations, custom-made formulas and teas, workshops, and a wide variety of products for sale, including Full Moon Ghee at the Tuesday Market in Northampton. 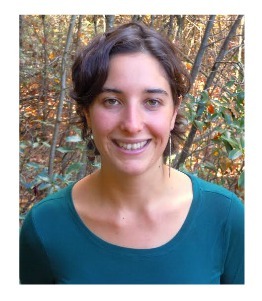 You can learn more about Hannah at www.sweetbirchherbals.com. Hannah would also like to credit her teachers for much of the information in this post, Chris Marano of Clearpath Herbals and Jade Alicandro-Mace of Milk & Honey Herbs. 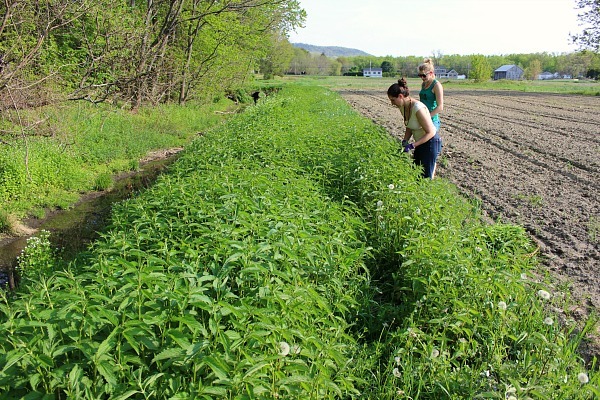 Learning how to find, identify and cook nettles is just the tip of the iceberg when it comes to foraging for wild edibles. 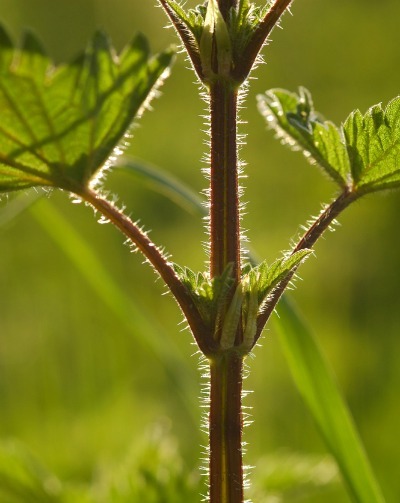 But unlike nettles, many are not quite as easy to identify. Some even have poisonous relatives! So it’s good to learn from someone with experience initially, like Hannah. 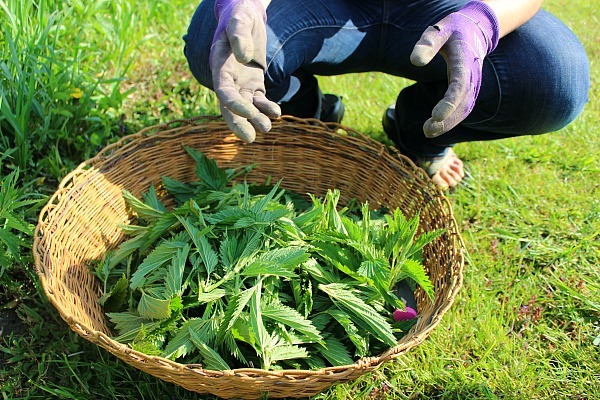 Have you ever harvested stinging nettles? If there’s anything you’d like to add to this post, feel free to comment below!